Dying to get your hands on the 25th anniversary Rockcan soundtrack collection but can't because it's an E-Capcom exclusive? Well, I have some pretty good news. If you have a lot of extra money laying around, you may be interested to know that CDJapan are now accepting import preorders for the collection. 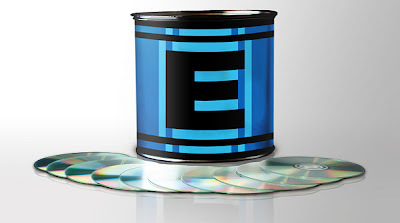 The E-Tank steel tin, loaded with 10 discs of Classic series music, will set you back $222.95 USD from CDJapan. And that doesn't include shipping (varies upon location). It remains to be seen if CDJapan will be the only import retailer stocking the set, but it's doubtful anyone else will offer it any cheaper. Be that as it may, I'll keep an ear out for you. The Rockcan is due out on September 19th. I see that they are charging some extra money, probably they are buying it directly from e-capcom. That price is pretty exorbitant for a bunch of CDs containing songs you can just download off the net for free! Nothing extra like a figure or new, never-before-seen artwork? It's just the E-can that we get? Does it also give full energy to those who use it like it does in the games? Is that why it's so expensive? As a collector, a little part of me wants to get this. The common sense part of me is telling me I am really going to regret making this purchase. Common sense wins for now. I really hope this hits Western markets so the price can go down a bit, which is doubtful. Still, nothing is impossible. Vote for MegaMan to be in the new Smash Bros game! I saw it on TMMN! The price for a bunch of NES recordings is ridiculous. Not only is this collection way too expensive, it doesn't contain any music from Rockman & Forte. So, it's probably not even worth my time. a) The poll is long over. b) Unlikely the poll would do anything. Didn't they say recently that it would contain tracks from Rockman & Forte actually? Or was it just the additional Sega Saturn MM8 tracks? Probably the latter, since that's the only one that sticks out to me. @E. Leona Castillero: Basically, the can itself was expensive to begin with, then became even more expensive on CDJapan because you're paying extra for the convenience of them purchasing the can and shipping it out to you, and when you're shipping out overseas, the prices jack up. But I'm sure you already know this. It's doubtful though that this can will make it western side. And even then, I still wouldn't get it. It's situations like these that make me happy I'm a discerning collector and not one who has to have EVERYTHING Mega Man/Rockman out there. I am a happy camper. I'm glad I haven't bought any of these soundtracks in it.